Bulk fiber optic cable comes in lots of types, depending on where it will be installed. Fiberstore offers a full line of bulk fiber cables with high quality and reasonable price. What Can Limit the Data Transmission Distance? In the optical network, except the speed, data transmission distance is another important thing that we care. What can limit the transmission distance? 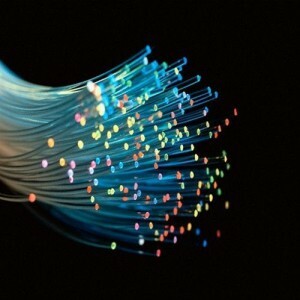 At first we may think of fiber optic cable. Compared with copper cable, it can support longer transmission distance, high speed, high bandwidth, etc. However, not everything is perfect. Fiber optic cable still has some imperfections that influence the transmission distance. Besides, other transmitting media like transceivers, splices and connectors can also limit the transmission distance. The following will tell more details. Fiber optic cable can be divided into single-mode cable and multimode cable. The transmission distance supported by single-mode cable is longer than multimode cable. That’s because of the dispersion. Usually the transmission distance is influenced by dispersion. Dispersion includes chromatic dispersion and modal dispersion (as shown in the following figures). Chromatic dispersion is the the spreading of the signal over time resulting from the different speeds of light rays. Modal dispersion is the spreading of the signal over time resulting from the different propagation mode. For single-mode fiber cable, it is chromatic dispersion that affects the transmission distance. This is because, the core of the single-mode fiber optic is much smaller than that of multimode fiber. So the transmission distance is longer than multimode fiber cable. For multimode fiber cable, modal dispersion is the main cause. 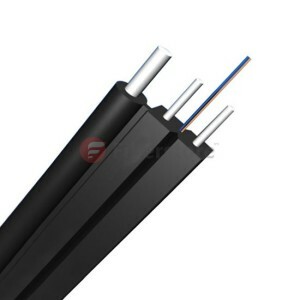 Because of the fiber imperfections, these optical signals cannot arrive simultaneously and there is a delay between the fastest and the slowest modes, which causes the dispersion and limits the performance of multimode fiber cable. Like most of the terminals, fiber optic transceiver modules are electronic based. Transceiver modules play the role of EOE conversions (electrics-optics-electrics). The conversion of signals is largely depend on an LED (light emitting diode) or a laser diode inside the transceiver, which is the light source of fiber optic transceiver. The light source can also affect the transmission distance of a fiber optic link. LED diode based transceivers can only support short distances and low data rate transmission. Thus, they cannot satisfy the increasing demand for higher data rate and longer transmission distance. For longer transmission distance and higher data rate, laser diode is used in most of the modern transceivers. The most commonly used laser sources in transceivers are Fabry Perot (FP) laser, Distributed Feedback (DFB) laser and Vertical-Cavity Surface-Emitting (VCSEL) laser. The following chart shows the main characteristics of these light sources. As the above chart mentioned, different laser sources support different frequencies. The maximum distance a fiber optic transmission system can support is affected by the frequency at which the fiber optic signal will be transmitted. Generally the higher the frequency, the longer distance the optical system can support. Thus, choosing the right frequency to transmit optical signals is necessary. Generally, multimode fiber system uses frequencies of 850 nm and 1300 nm, and 1300nm and 1550 nm are standard for single-mode system. Bandwidth is another important factor that influences the transmission distance. Usually, as the bandwidth increases, the transmission distance decreases proportionally. For instance, a fiber that can support 500 MHz bandwidth at a distance of one kilometer will only be able to support 250 MHz at 2 kilometers and 100 MHz at 5 kilometers. Due to the way in which light passes through them, single-mode fiber has an inherently higher bandwidth than multimode fiber. Splice and connector are also the transmission distance decreasing reasons. Signal loss appears when optical signal passes through each splice or connector. The amount of the loss depends on the types, quality and number of connectors and splices. All in all, the above content introduces so many factors limiting the transmission distance, like fiber optic cable type, transceiver module’s light source, transmission frequency, bandwidth, splice and connector. As to these factors, different methods and choices can be taken to increase the transmission distance. Meanwhile, equipment like repeater and optical amplifiers are also useful to support the long distance transmission. So there must be some ways to help you increase the transmission distance. Why Does FTTH Develop So Rapidly? FTTH (Fiber to the Home) is a form of fiber optic communication delivery in which the optical fiber reached the end users home or office space from the local exchange (service provider). FTTH was first introduced in 1999 and Japan was the first country to launch a major FTTH program. Now the deployment of FTTH is increasing rapidly. There are more than 100 million consumers use direct fiber optic connections worldwide. Why does FTTH develop so rapidly? FTTH is a reliable and efficient technology which holds many advantages such as high bandwidth, low cost, fast speed and so on. This is why it is so popular with people and develops so rapidly. Now, let’s take a look at its advantages in the following. The most important benefit to FTTH is that it delivers high bandwidth and is a reliable and efficient technology. In a network, bandwidth is the ability to carry information. The more bandwidth, the more information can be carried in a given amount of time. Experts from FTTH Council say that FTTH is the only technology to meet consumers’ high bandwidth demands. Even though FTTH can provide the greatly enhanced bandwidth, the cost is not very high. According to the FTTH Council, cable companies spent $84 billion to pass almost 100 million households a decade ago with lower bandwidth and lower reliability. But it costs much less in today’s dollars to wire these households with FTTH technology. FTTH can provide faster connection speeds and larger carrying capacity than twisted pair conductors. For example, a single copper pair conductor can only carry six phone calls, while a single fiber pair can carry more than 2.5 million phone calls simultaneously. More and more companies from different business areas are installing it in thousands of locations all over the world. FTTH is also the only technology that can handle the futuristic internet uses when 3D “holographic” high-definition television and games (products already in use in industry, and on the drawing boards at big consumer electronics firms) will be in everyday use in households around the world. Think 20 to 30 Gigabits per second in a decade. No current technologies can reach this purpose. The FTTH broadband connection will bring about the creation of new products as they open new possibilities for data transmission rate. Just as some items that now may seem very common were not even on the drawing board 5 or 10 years ago, such as mobile video, iPods, HDTV, telemedicine, remote pet monitoring and thousands of other products. FTTH broadband connections will inspire new products and services and could open entire new sectors in the business world, experts at the FTTH Council say. FTTH broadband connections will also allow consumers to “bundle” their communications services. For example, a consumer could receive telephone, video, audio, television and just about any other kind of digital data stream using a simple FTTH broadband connection. This arrangement would more cost-effective and simpler than receiving those services via different lines. 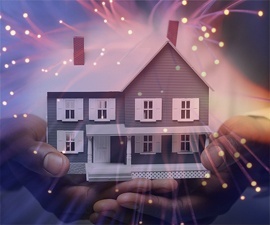 As the demand for broadband capacity continues to grow, it’s likely governments and private developers will do more to bring FTTH broadband connections to more homes. According to a report, Asian countries tend to outpace the rest of the world in FTTH market penetration. Because governments of Asia Pacific countries have made FTTH broadband connections an important strategic consideration in building their infrastructure. South Korea, one of Asian countries, is a world leader with more than 31 percent of its households boasting FTTH broadband connections. Other countries like Japan, the United States, and some western countries are also building their FTTH broadband connections network largely. It’s an inevitable trend that FTTH will continue to grow worldwide. When light propagates as a guided wave in a fiber core, it experiences some power losses. These are particularly important for signal transmission through fiber optic cables over long distance. For better telecommunication, we should try to decrease optical losses. Then first we need to know well about optical losses. The article will tell about intrinsic fiber losses and extrinsic fiber losses. Intrinsic fiber losses are those associated with the fiber optic material itself. There are two kinds: scattering losses and absorption losses (see the following picture). Light is attenuated mainly because of these. Absorption Losses Absorption loss is caused by absorption of photons within the fiber such as metal ions (e.g., Cu2+, Fe3+) and hydroxyl (OH–) ions. Optical power is absorbed in the excitation of molecular vibrations of such impurities in the glass. One absorption feature is that it occurs only in the vicinity of definite wavelengths corresponding to the natural oscillation frequencies or their harmonics of the particular material. In modern fibers, absorption losses are almost entirely cuased by OH–1 ions. The fundamental vibration mode of these ions corresponds to l = 2.73 µm and the harmonics at 1.37 and 0.95 µm. To reduce presence of OH1 ions, it’s possible to employ dehydration. Scattering Losses Scattering losses are the second dominat influence factor to the signal attenucation in an optical fiber. This kind of loss is caused by micro variations in the fiber material density, which occur during the manufacturing process. Even though the careful manufacturing techniques is advanced and careful, most fibers are still inhomogeneous with disordered and amorphous structures. The scattering losses decrease in porption to the fourth power of the signal wavelength. So the scattering loss is a dominant loss mechanism below wavelengths of 1,000 nm. It’s also necessary in the third transmission window at the wavelengths of 1,550 nm. These losses are specific to geometry and handling of the fibers and are not functions of the fiber material itself. There are two basic kinds and they are bending losses and connector losses. Bending Losses When optical fiber cables are bent, they exhibit additional propagation losses. This is called bending losses which is a frequently encountered problem in fiber optics. Typically, these losses rise very quickly once a certain critical bend radius is reached. This critical radius can be very small (a few millimeters) for fibers with robust guiding characteristics (high numerical aperture), or it can be much larger (often tens of centimeters) for single-mode fibers. Losses are greater for bends with smaller radius. Connector Losses Connector losses are related to the coupling of the output of one fiber with the input of another fiber, or couplings with detectors or other components. The losses may arise in fiber connectors and splices of the joined fibers with cores of different diameters or misaligned centers. Or the losses may occur if fibers’ axes are titled. The losses caused by mismatching of fiber diameters can be approximated by –10 log(d/D). There are other connection losses such as offsets or air gaps between fibers, and poor surface finishes. From this article, you may know something about optical losses. To get better data transmission, you should consider the above influence factors. For intrinsic fiber losses, the products’ material is critical. For extrinsic fiber losses, note that you should try to avoid bending the fiber and do good coupling of fibers, joining fibers with the same diameters, avoid the fiber axes titled, etc. Could Dark Fiber Light Up the Future? Most of today’s data transporting are based on fiber optic network, which has faster speed and larger scale than ever before. However, needs for the data transporting capacity are still growing rapidly. The fiber optic network operators and providers usually lay more fiber optic cables than what is needed to avoid installing the fiber cables again and again, which also curbs the costs efficiently. These additional fiber cables are known as dark fiber or unlit fiber. Dark fiber is optical fiber that has been installed and ready for use but is not currently being used, which has no electronics on either ends. Dark fiber is primarily needed by operators taking into account the increasingly high demands of the end-user. Now the dark fiber can be leased or sold to individuals or companies who wants to create their own privately-operated optical fiber network rather than just leasing bandwidth or wants super fast speed and a highly secure network. The dark fiber network can be set up in a variety of ways, including dark fiber rings, point to point or point to multipoint. Capacity: Dark fiber is a network of fiber optic cables that can carry high amounts of data at high speeds over hundreds of miles. Dark fiber also has unlimited expansion capability. Flexible & Freedom: With dark fiber, the choice of network equipment would be more flexible. Individuals can choose the network equipment that supports the specific requirements. Security: Fully dedicated, private physical network infrastructure. Cost: the price for high performance dark fiber network is not low. Lighting up dark fiber requires maintenance and management. The time and equipment spent on lighting up the dark fiber is also an important part of the expense. Location: Dark fiber networks are generally only available in the areas where fibers have already been installed which limits the application of dark fiber network. Dark fiber network is typically run between data centers and other places with existing fiber infrastructure. As more and more individuals and companies look for platforms to improve internet bandwidth and data connectivity, dark fiber has become a popular topic. The performance of dark fiber is seductive. However, cost and limits of dark fiber should also be considered. There are many companies providing high performance dark fiber network, like Google whose price is very high. While the availability of WDM reduced the demand for fiber optic, which lower the price of dark fiber in some extend. The future of dark fiber is still in arguing and discussing. The way people live, work and play has been changed by the high speed bandwidth carried by fiber optic cables. People communicate via social networks like Facebook or Twitter, share videos online, watch Internet movies on television, take advantages of telemedicine and home based businesses. Without fiber optic cable, none of these activities can be carried out smoothly. To further improve the speed of bandwidth for users, FTTH (fiber to the home) are being widely accepted in cabling. Fiber to the home (FTTH) is the delivery of a communications signal over optical fiber from the operator’s switching equipment all the way to a home or business, thereby replacing existing copper infrastructure such as telephone wires and coaxial cable. By using the FTTH technologies, fiber reaches the boundary of the living space, such as a box on the outside wall of a home. A key benefit of FTTH is that it provides much faster Internet speeds than twisted pair conductors, DSL or coaxial cable. However, what FTTH can bring for people is not just the faster speed. 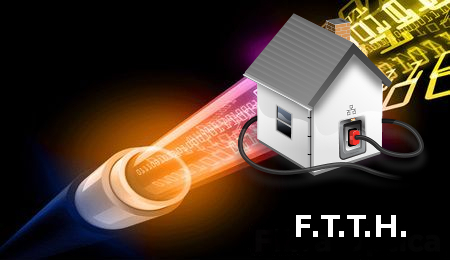 The real value of FTTH is that it can meet the exploding demand for more services. Therefore, people can do entirely new things and enjoy more new products and services with the networks. FTTH is widely accepted now and making people’s life much more convenience and better. It also becomes an element like good water, power, transportation to define successful communities. FTTH-powered bandwidth is essential for people who work at home and who want quality life provided by online entertainment, education, culture and e-commerce. Demand for bandwidth is rising with the introducing of new products and services. As a part of infrastructure, demand for FTTH fiber optic cable is also rising. FTTH Fiber Optic Cable is a kind of special curved optical fiber, which providing greater bandwidth and enhanced network transmission characteristics. This cable replaces the standard copper wire of the local Telco as it can carry high-speed broadband services integrating voice, data and video, and runs directly to the junction box at the home or building. Fiberstore supplies various FTTH optic fiber cables, like FTTH Indoor Cable, FTTH Drop Cable, FTTH Duct Armored Cable, etc. In order to cut inventory costs and speed up the installation process for our customers, Fiberstore’s FTTH cable designs can simplify your project. For more information please visit Fiberstore’s Online shop (fs.com).